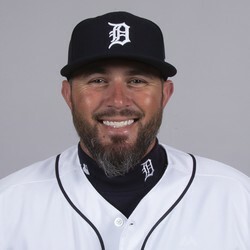 Bobby Wilson has been signed by the Detroit Tigers to a one-year Minor League contract for the 2019 season with an invitation to Spring Training. Wilson is an 11-year veteran who spent most of last season as a backup backstop in Minnesota. Wilson never has and likely never will have any fantasy relevance, but he is a very solid veteran backup catcher. He's much more defensively-skilled than offensively-skilled, hence his .208 career batting average.